Things have changed a lot since I wrote my first groceries post. Here’s the updated It’s-2014-and-I-have-a-toddler version! -I need a lot more structure in my meal plan to be able to cook quickly and reduce time spent at the stove with a baby who needs my attention. -I’m using Cook Smarts for my Monday – Thursday meals. I am loving the feeling that someone else is cooking for me! We are eating a wider variety of foods and recipes now. -I eat a lot of eggs and toast for breakfast and leftovers for lunch. -We’ve embraced the weekly prep day where we chop all vegetables and mix sauces and things for the Cook Smarts meals for the week ahead. Matt and I do this together during naptime on Sunday. -I’m buying more food in general for Mazen which comes mostly in the form of fruits and snacky foods like cheese and applesauce. -I aim to buy local and/or organic dairy products and local and/or pastured and/or organic meats whenever possible. Me all by myself on a Sunday morning at 8am. No traffic. No lines. Glorious! In the warmer months we get most of our produce from the farmer’s market. I haven’t yet experienced how Cook Smarts will work with the markets, but I imagine I’ll just do some more substitutions and things based on what looks good and is available. (For example, if a recipe calls for Brussels sprouts I might swap to green beans). But since the Cook Smarts recipes should be season-based, I think the two will work nicely together. Here’s the produce from this week’s trip. I’m generally buying a little bit less produce than I used to because I’m having leftovers for lunch instead of big salads everyday. This is fine with me because I’m A-OK with the amount of veggies I eat over the course of a week. I still get in quite a few salads but instead of carrots and bell peppers and eggs they have leftovers on top, which might include cooked veggies. Have I mentioned how much Mazen likes frozen broccoli!? Here are our proteins – beans, grass-fed beef, ground lamb, and wild salmon. We already used up all of our local meats from the market in our freezer this winter, so if this had been a market month I would have gotten them there. We also stock up from our two butchers in town – The Organic Butcher and JM Stock Provisions – when we have a minute to make an extra trip but I didn’t have either beef or lamb on hand. I reduced the salmon meal to only 2 portions because salmon is expensive and I figured I could have a cheaper can of salmon or sardines for lunch instead of an $8 leftover filet. We get all of our bread for free, obviously, because we own a whole grain bakery. This week’s meals called for pitas, so I bought some for fun. 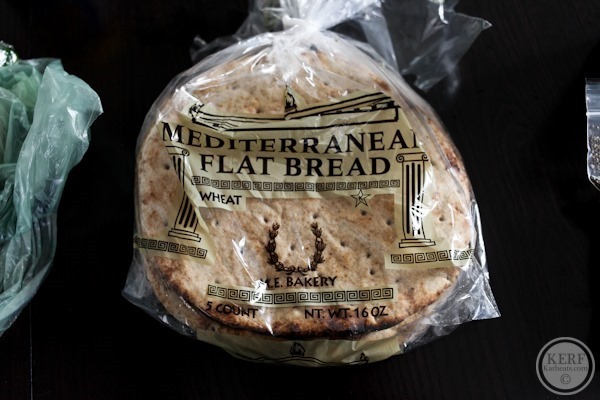 I thought about asking Matt to make flatbreads, but since he had plans until 6pm on that night I decided to just buy some instead. This kind is good but they go moldy fast. A reminder that this wasn’t baked today. Here are our dairy products. As I mentioned in this post, I’m now just sharing the same whole milk with Mazen. We just don’t use enough to warrant me buying my own low-fat version, plus I really like the whole milk’s taste. 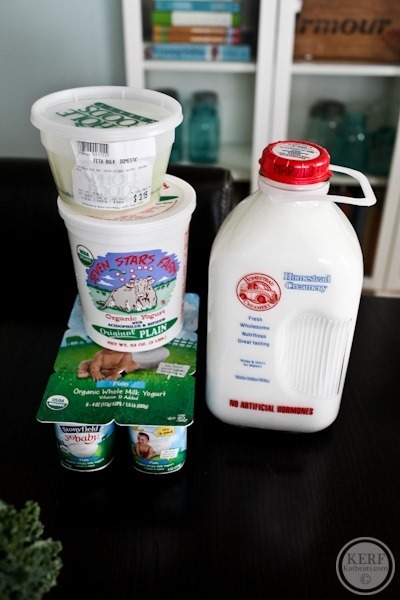 On the top stack is some feta cheese and a new plain whole milk yogurt I’m trying from Seven Stars Farm out of PA. Lastly I got the baby yogurt cups for Mazen’s snacks at the gym. I could save some dollars by packing it up myself, but I’m trying these for now to see how yogurt works as a snack there first. 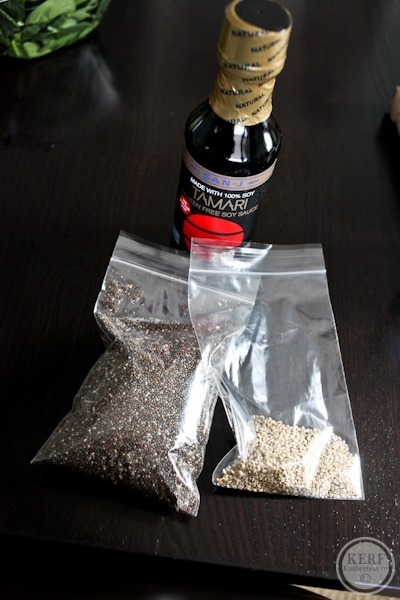 I had to pick up more tamari, chia seeds and sesame seeds from the bulk bins. I love how you can just get enough for your recipe at the Whole Foods spice center. I do this for the Cook Smarts meals a lot and it has saved so much money – just 1 tsp of ZA’atar spice instead of a $5 container. Finally the extras – a bag of chips I had a $1.50 off coupon for from the Whole Foods flyer. Sunbutter – yum. And a new butternut squash yogurt that was delish and low in sugar! Here’s the fridge on grocery day. We had some things leftover from the last week (and the baby shower I hosted) – strawberries, eggs, yogurt, greens, cheese and OJ. I never include things like wine or coffee in my grocery bill because I think they are “wants” more than “needs” so they go into our family’s entertainment budget. I’m not a coupon diva – I’m a realistic gal trying to balance the highest quality ingredients with a pleasant and stress-free shopping experience and a loose budget in mind. My friend Lynsie [who is my gym twin!] has a large family and managed to cut her bills in half saving over $11,000 to date on food. She’s also an awesome cook, so head there for more tips on saving money on groceries! What other grocery topics would you find interesting as blog posts? And what was the best thing you bought at the grocery store last week?! I love these kinds of “day-in-the-life” posts from you! 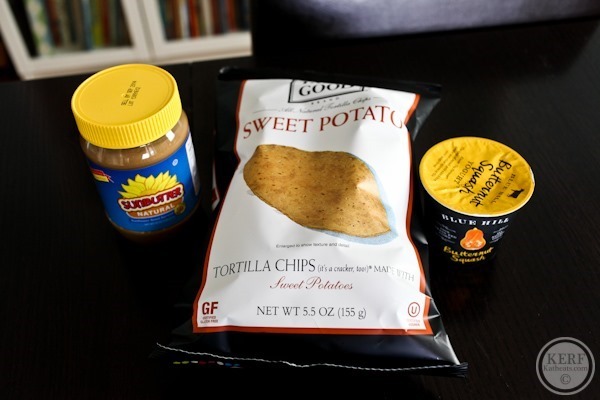 Grocery shopping posts are actually some of my favorite among healthy living blogs. I love seeing what people are buying/eating throughout the week. Thanks for sharing! My goal is $400 per month too. There are three of us (one is 18). This includes a weekly trip to the grocery store, a couple trips to Trader Joe’s, and usually one trip to Costco. Best thing I did this week was use the Costco whole roasted chicken to make soup. I will definitely do that again! This was really helpful! I always thought I’d spend so much more if I only shopped at whole foods, but really you only spent about $45 more than I did this week and I’m just one person! This post is so helpful! Do you have any suggestions for inexpensive granola bars? I am so accustomed to packing either Kind of Larabars with my lunch since they are a filling afternoon snack. I like these brands because they are minimally processed, and the ingredient list is short (read – real food!). However, they are expensive! Almost $2.00 per bar. Have you just eliminated buying these, or do you know of a cheaper alternative? Try this easy no-bake recipe for granola bars, they are my go to choice! You could also look into buying them in bulk on amazon (or subscribe to a regular delivery for a little extra savings). That’s the cheapest way that I’ve found them. 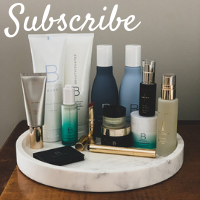 I’m a big fan of subscriptions. I like Gnu bars. They have 12 grams of fiber and the club is I think $40 per month for 30 bars. I become a member for 2 or 3 months to stock up and and then cancel my monthly membership. I also do the same with Bobo’s oat bars, which I also find to be extremely filling. Thanks for this! I always struggle at the cville wholefoods. Also, Homestead milk is a must. Mainstream milk scares me. Does Matt just eat his lunches from the bakery usually? Our family is doing Cooksmarts too but I feel like there is usually leftovers for only 1 person (depending on the meal) So, one of us has to come up with a lunch option for work. 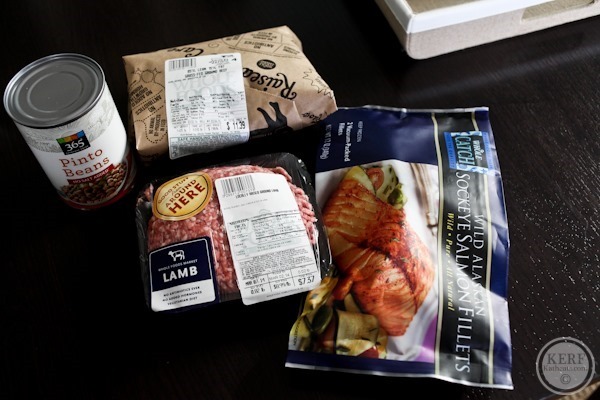 I was surprised at what I was saving at the store considering I am buying a lot more meat and seafood too but I still want to get closer to $100/week rather than $150+! Yes he eats at the bakery and we often just have one serving left too. Guess our portions are big! I really like this post and would love to see your weekly meal plan / grocery budget every week, although I know that’s a lot of work. 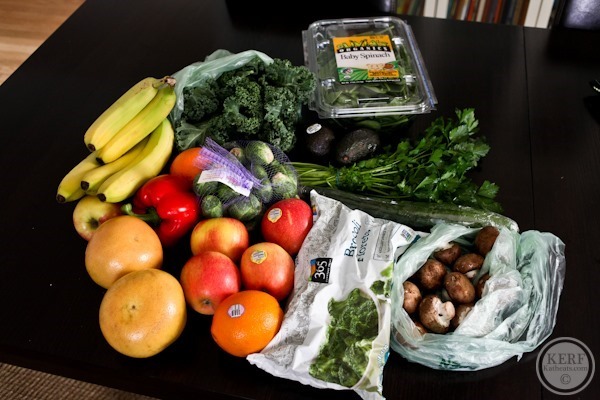 We spend a ridiculous amount of money on groceries – upwards of $600-700 a month! And that’s just for two of us. We have a 4 month old, so in a few months will be adding food for her as well. I try to mostly buy organic produce and responsibly raised meat/fish so we usually shop Whole Foods. I know I can be better about meal planning, assessing what we have before shopping, and not wasting food. I agree about not wanting to run all around creation looking for the best deal. I recently left my job to take care of our little one, so sticking to a budget is going to be even more important, but I’m not willing to sacrifice the quality of our food. Anyway, all that to say this post is very helpful! I have the same issue. For 2.5 of us, we spend a ridiculous amount, too. If the husband didn’t drink soda or want processed snack foods, I think that would help a lot, but I’d never get him to give them up. Oh my goodness, I’m feeling weird that our grocery budget is twice yours, there’s one less human and we shop at three different places to save money. But we do lots of pricier fish but I didn’t think that much difference. Hmm, might have to start looking at some things. This was a really interesting post, thanks for sharing! I try to follow a similar “real food only” shopping list, but the cost presents a challenge. I don’t know if it’s the same in the U.S., but in Paris a pack of two chicken breasts costs around 6 euros ($8), while a box of chicken nuggets (two servings) is less than half of that. So frustrating! 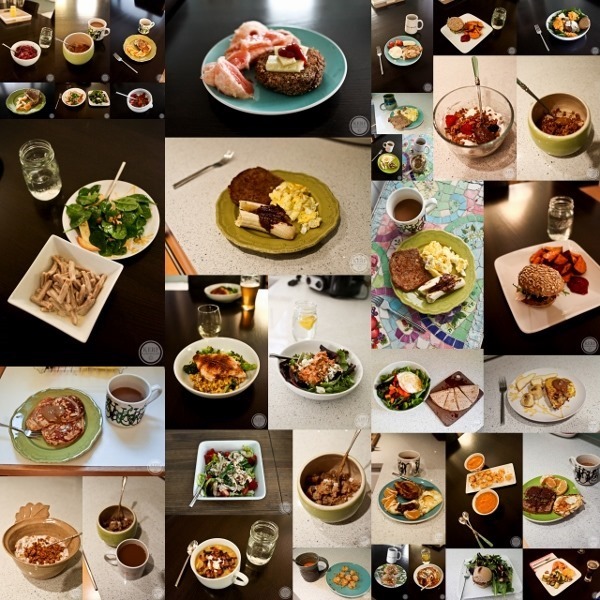 Okay I had to favorite this post – I love the idea of spending only like $400 on food a month! I will be following some of your meals and meal planning and I will have to let you know how it goes! Our shopping styles are so similar. Although admittedly our nanny does the cooking and errand running now, we do a similar weekly meal plan (I pull from mags, make a list, choose 3 weeknight meals, and plan for leftovers!). And we use whole foods, tending to stick to store brand/produce/bulk staples. I agree it can actually be cheaper than “regular” grocery stores if you choose right. (That said, our bills are a little ridic but I chalk that up to more meat/seafood and the pricey nature of the area). I know you have mentioned your favorite restaurants, but I have been searching your blog and can’t find the specific ones – just more general dinners out. 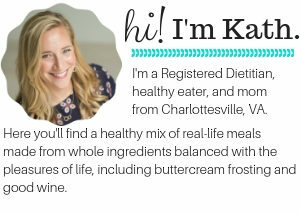 My husband and I are going to Charlottesville for our anniversary and were looking for where to eat dinner. Is Continental Divide still there? Although for our anniversary I would want something nicer. Thank you! My husband made reservations at Brookville! 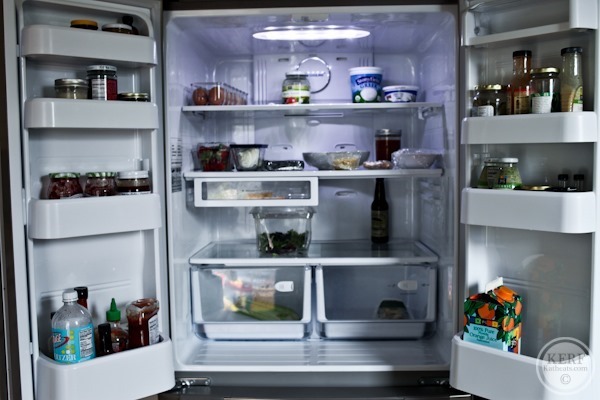 I cannot believe how minimal your refrigerator looks! Mine is always so full looking no matter how little I buy. Where do you buy household staples like paper towels, tissues, shampoo, etc? I am using the Cartwheel app for Target in addition to my Redcard and getting some real savings. It’s a no coupon clipping way to save a little bit. Check out Target’s mobile coupons and printable coupons on their website. I have gotten some really great deals with combining one with the Cartwheel and Redcard. I am about to finish grad school and start working again. I know that I will be feeling a time crunch, so I am interested in services like Cook Smarts. Would you say that they are 1) nutritious meals that are well balanced and 2) that you don’t have to find a lot of obscure ingredients? Thanks for sharing. I always find it interesting to see how others navigate the grocery store. I love shopping at Whole Foods because of the high quality products. I try to get all my meat/seafood from there especially because it seems to offer the most sustainable, organic options in our area. I find like you that I spend comparable amounts at other grocery stores by purchasing fresh items on the perimeter of the store. The bulk bins are a huge money-saver for us! I love the way you think! I’m not crazy about going to a bunch of different stores either! The bulk bins at Wholefoods are a life and money saver!! It totally reduces my grocery bill when I have to buy expensive items (like nuts) and don’t have to spend $10 on a big bag (that I end up forgetting about in my cabinet). This is great!! Would you ever do a post on what you feed Mazen for snacks these days? I have a little guy who is about the same age and I am in a total rut of giving him snacks that are satisfying and healthy! Yogurt, cheerios, string cheese, applesauce, and more fruit! My son is 19 months and is loving Kashi crackers with all natural peanut butter, baby carrots, avocado chunks and things I bake for him. I bake up batches of healthy mini muffins, cookies made from oats, bananas and any add-ons you want, and things like that. Makes snack time easy for days and they are also freezable. I love posts like this! We are always fine tuning and working on our budget and menu planning. I am fascinated by what others do and hope to glean bits of advice here and there to further fine tune our routine. I am surprised your total wasn’t as high as I would expect for shopping at Whole Foods, I guess shopping the perimeter really does help! I have a couple of questions if you don’t mind…. 1) Does your husband also eat leftovers for lunch? At our house we pretty much both plan to pack up leftovers to take to work for lunch each day. I feel like I have to make larger portions to compensate for that. Matt eats lunch at the bakery…I have no idea what! Mazen eats what I’m eating. .. usually a smaller amount of leftovers (1-2 servings are left and he will eat half of one) or smoked trout, grilled cheese, eggs, Yogurt, soup. He loves broccoli and I do a lot of frozen veggies for him. Yay for whole milk! Great tips here, Kath. And I’m so impressed you only spend $400/month! We spend 50% more than that, and I’m careful (or so I thought). Love this post! I agree that Whole Foods isn’t more expensive if you are strategic about it. I just bought 100% grass-fed beef shanks for $4.99/lb, which is the regular price! You can’t even find this stuff at most grocery stores, and when you do, it’s not grass-fed and it’s more expensive. Plus, it is so decadent to eat the bone marrow, which you know is super expensive at restaurants, but so easy to make at home. We buy so much fruit, especially apples and bananas in the winter! Its crazy how quickly we go through them. Wow, no carbs? pasta, potatoes, rice? Eggs? Doesn’t look like you bought anything for breakfast either? Was this just shopping for dinner? This just doesn’t seem like enough food for three people for a whole week! Maybe this is why I’m overweight, haha. Had pasta, rice, quinoa and oats in the pantry. Eggs in Stock (bought lots the week before and had oatmeal for breakfast) and bread is always from the bakery! Kath, great post! How often are you having to purchase whole milk? I imagine Mazen drinks quite a but each week at this age.. I always have to purchase more than one half gallon to get my 14 month old and I thru the week. Love this type of post! You seem to run a very lean kitchen, in terms of buying only things you actually eat and eating only the things you actually buy. We always have a stocked pantry/fridge but don’t really plan out meals so it’s one of those “there’s nothing to eat” situations. Great post Kath! It’s fun seeing what goes into other people’s shopping carts! I love grocery shopping and getting to pick out all the delicious foods I get to eat for the upcoming week! 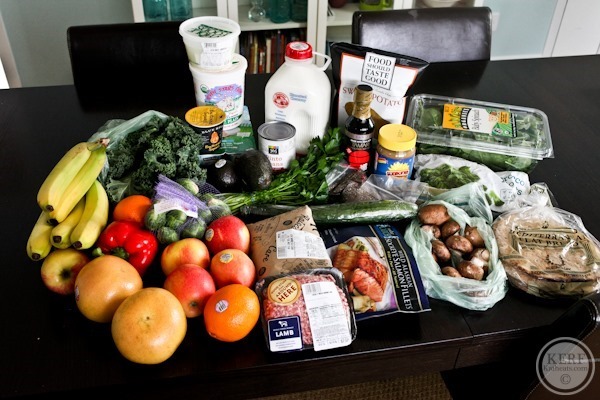 And way to go on the $400 a month grocery bill – I try to stick to $150 but that can be really hard for me!! As someone who’s pretty much in the same boat as you, having a toddler around, I’m really impressed with the $400/month grocery bill… looks like I have some work to do to get mine down, hah. For what it’s worth, I spend about $750 a month for 7 people including 2 teenagers. That includes lots of bulk items, mostly non-processed choices, and I make all our bread. It’s a challenge keeping it that low but I have to for budget reasons. Great post! I too think Whole Foods can be cheaper (or at least comparable) to shopping anywhere else. And I too hate running around to a million stores. Thanks for the update! I love reading detailed grocery posts! I do things very similarly, though our grocery bill averages closer to $150 a week for our family of 3 (including a toddler with a ferocious appetite and a pregnant lady ;)). Do you keep snacks around for M or M? David always wants something to munch on! Yeah we always have snacks for us all but we snack on fruit a lot and cheese and yogurt and bread. I buy cheerios and crackers from time to time too. I think you are well-intentioned, but perhaps misguided by lack of good information, old habits, and traditions. Why eat animals and their secretions? Animals have families,form strong social bonds, feel as much as you do…fear, joy, longing, sadness and love. They don’t want to die for our appetite. Standard cruelties throughout the dairy industry include forcing cows to grossly overproduce milk, stealing baby calves from their mothers, killing the cows when young, and killing the male calves when even younger. You are a mother and I know how much you cherish your child -can you imagine breaking that mother/child bond when your baby is dragged away from you at just a few days old? This happens every single day in the dairy industry. Milk comes from millions of grieving mothers. Why choose to take part in their suffering when there are alternatives available? Please choose a more compassionate diet that does not include animal products.Give your food a face, and make it harder for you to turn a blind eye to what you’re supporting with every piece of meat you eat. People shouldn’t be too hard on themselves if they spend more than $400….so much depends on where you live (seriously….milk in Canada is twice the price as in the US), as well as the fact that Kath doesn’t need to pay for bread (which can be a big expense over the course of a month), and Matt eats at the bakery. That’s at least 5 lunches a week (probably some breakfasts, too) that don’t require grocery dollars. There’s definitely a savings there, that the average Joe who’s serving breakfast and packing lunches for at least two people every day won’t have. The real challenge hits with a teenage boy in the house!! I swear, sometimes I think I need a milk savings fund – the amount of food and milk growing boys need is CRAZY, and the amount of money I spend on milk each week is even crazier. I agree. At first I thought, wow, I would think Kath spends a lot more than I do on groceries, but then i realized, I am shopping for breakfast, lunch, and dinner for 2 adults and a toddler, for 7 days week. I also factor in bread, alcohol, and coffee. So, I guess spending $140 a week or so isn’t bad, considering a dinner out once a week would add a condsiderable amount to the weekly food $$. …but, Kath, I still think you are doing great, and I think it’s awesome that you guys have the bakery! And that you get to eat out on a pretty regular basis at places that look incredible! Oh, and I agree about one stop shopping. I keep a pretty tight budget but agree it’s just worth it to find the best deals at one place. Like you, I do have to stop at TJ’s for fun things- mostly the great seasonal surprises they have! Also, what do you estimate your total consumption budget would be when you added groceries + entertainment + eating out + meals comped by/shared with others + bakery perks? I’m kind of a food budget nerd anyway, but now that my husband got hired for his dream job (accompanied by a 50% pay cut-yikes!) I’m even more watchful of our entire consumption budget vs. just our grocery bill. For those of your readers who are trying to keep a low overall budget and have larger families, it can be done but there are sacrifices. We are a family of 5 (2 adults + 3 kids aged 8-11) trying to keep a total weekly food budget of $100-$125. This means no separate budget for eating out or splurges. We are doing fairly well with it so far, but $100 a week equals very little organic, going to several stores (including knowing which ones have the best deals on which product–Aldi is my spot now rather than Whole Foods), and no eating out at all. I didn’t know that Whole Foods sells bulk spices! How nice! I am truly amazed at how you, Kath, manage to only spend 400$ a month on groceries because it seems unreal to me when I spend around 600$ for our family of three. My 6-year old though is eating quite a lot. What do you do though if , for example, the yogurt or whatever food that you like is on sale? Do you only buy enough to last you one week or do you stock up for the entire month? 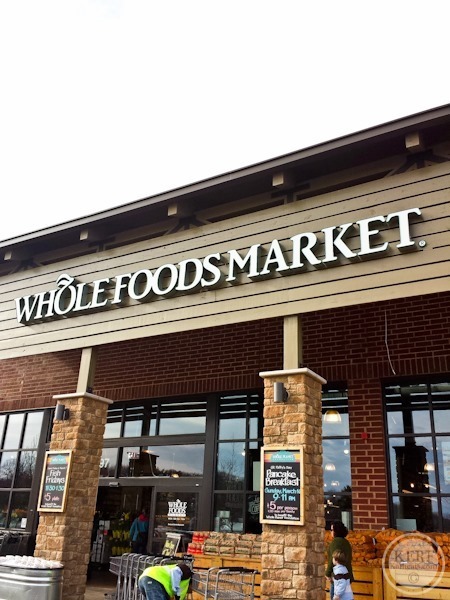 It depends on the whole foods location if/what the selection of bulk bins and bulk spices are. The whole foods in nyc have no bulk spices at any location and a fairly small selection of the bulk bins. The best thing I bought at the grocery store this past week is a 4 pack of Great Lakes Brewing Company Chillwave Double IPA. I had a sample and it tasted glorious. Other than the beer that I brewed with my buddies at a local brewing store, I’m usually not picky about beer–there are only 2 or 3 beers that I refuse to drink and that’s the stuff that we all only probably consumed in college. This is different though; I took a sample and desperately wanted an entire bottle but I wasn’t sure why I liked it so much. Once the saleswoman told me that there were hints of grapefruit in it, I knew why! My wife insisted that I treat myself for my birthday, and I did. I don’t think your grocery bill is bad at all and I do coupon! Looks like you have a good plan and that it works well for you. I find that Whole Foods has items cheaper than competitor natural foods stores since it is bigger. Our meals changed in the opposite way. I used to meal plan very specifically and now with a baby I find it easier to stick to a looser plan. Isn’t it funny how we all change in different ways after having kids? Oh my goodness. You’re “before a baby” section is literally EXACTLY how I eat now. I always feel like I’m missing structure in my grocery shopping and cooking. But my weekends are so all over the place that I just can’t seem to get myself to do a “prep night.” Do you know why it is you choose to eat more eggs in the morning now? I, too, feel the same way about Whole Foods. I enjoy the experience so much – and once you start purchasing produce from there, it’s hard to go back. The trick is sticking to the produce and not going too crazy in the middle aisles. Great post Kath! Was wondering: does your $400 a month also include toiletries, paper goods, and other non-food items that you need for household, or do you count that separately? Also, how much do your budget for eating out (which seems to be part of your weekly schedule)? But since we are all economizing, really appreciate the tips and hope there will be more posts like this! Nope those go into our household budget. I try to keep groceries at food only. Eating out goes into entertainment for us and we don’t have a weekly budget – more of a monthly budget for that. Love this post, but I’m really curious about the breakdown of how much individual items cost–our grocery budget is a lot less and I’m wondering if there are specific areas that would cause the difference or if it’s just a general across-the-board difference. I would love to be able to shop at Whole Foods more but anytime I go in there the prices are a real turn-off. For example, last week I was in there and apples were $2/lb, but the grocery store I usually frequent had them for 50 cents/lb–big difference, and the WF ones were not even organic! Do you have a sense of which WF items are the best value? Do you have any meal planning advice for people (like myself) who do not have structured schedules? I’m a nurse at a hospital and thus work the dreaded 12-hour shift…and on top of that, I rotate day shifts and night shifts. I used to cook all the time when I worked a M-F 9-5 job and now I just can’t find the motivation or the time (even though I only work 3 days a week now!). I miss cooking and eating out all the time has taken a toll on my waistline! Any words of wisdom? I think a prep day would do wonders. The less you have to do when you get home from work the better so do the bulk of your cooking on a day off. Check out the Lean Green Bean’s sure -she does a ton of prep beyond just chopping. Love this post Kath and thanks for including Cook Smarts. For two, we spend $75 / week on the perishables (produce, meats, etc), and probably another $50 on stocking pantry stuff (oils, vinegars, canned goods). I feel pretty happy about this b/c we rarely eat out. Before we may have spent less but ate out a ton more. I guess that’s what running a meal planning service does to you? I also discovered Instacart (http://inst.cr/t/uhYr26) for Costco runs (they do other places too), but Costco was always one of those places I’d run into for a few things and wind up spending $300 somehow! Now I just have favorite pantry-stuff saved there and check them off when we’re running low. It’s awesome. I love these posts and love knowing others’ budgets. I’m trying to get back into meal planning and cutting way back on money spent, so this helps! There are only 2 people in my household and we spend an embarrassing amount each month from not being prepared. I’d be interested in seeing specific prices on items to compare. We live in NYC & food is so expensive! I like the 365 brand for pantry items but Whole Foods produce hasn’t impressed me lately & it’s much more expensive. Can’t wait for warm weather produce to start up at our farmers markets. The apples are still delicious, however. I live in West Japan, so things here are a little different, but I always find it so interesting to see how people handle their groceries. I just moved, and the supermarket is a little further away, so meal planning will have to become a fine art! Seven Stars!!! They are local for me here in Lancaster County, PA, and I buy the same yogurt every week at our lovely and historic Central Market. Hope you enjoy it (I do)! I’ve been reading for a while but don’t comment that often. Seven Stars Farm is my aunt and uncle’s farm and I was DELIGHTED to see you trying it! If your local store ever carries the Maple flavor – give it a try – it’s sooooo yummy! hi kath!! i love these kinds of posts – they’re so helpful and i get so much good information! i definitely over shop and trying to get better at that. would you be willing to do an updated budget video? i still watch the one you did a few years back but wanted to see what changes/ideas on saving since beautiful Mazen came into your lives. Love your blog!!! thanks! I’ll think about it! The way we budget is essentially the same, but we have a lot more line items (both coming in and going out) than we used to. I don’t want to share real numbers, so I’d make a hypothetical budget to showcase anyways. Can you let me know of any other aspects of it you might find helpful?